To forget the self is to be actualized by all things. 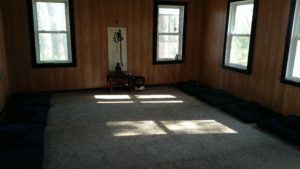 Clear Spring Zen is a sangha of Zen practitioners who sit in the tradition of the Diamond Sangha of Honolulu, Hawaii, founded by the late Robert Aitken. 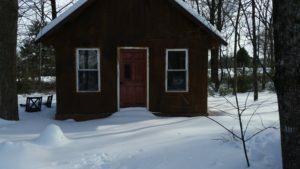 Our sangha is led by his longtime student, Marian Morgan, who began teaching in 1999 at the invitation of Aitken Roshi. Please join us for zazen Wednesday evenings at 7:00 p.m. at the Thomas Jefferson Unitarian Universalist Church at 717 Rugby Road in Charlottesville, VA. If you are new to Zen practice please drop by a few minutes early and we will be happy to give you an introduction. The zendo in Crozet is open. Zazen is at 6:30 a.m. and 7:00 p.m. daily except for Tuesday and Wednesday evenings.